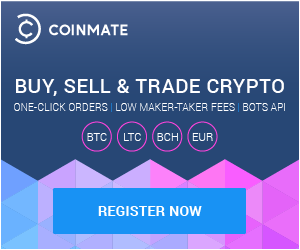 since we like to keep you informed about interesting features of our exchange, we decided to put up a series of articles to describe some of Coinmate’s perks. All week we’ve been on a high after the Hacker’s Congress Paralelni Polis (HCPP2018). 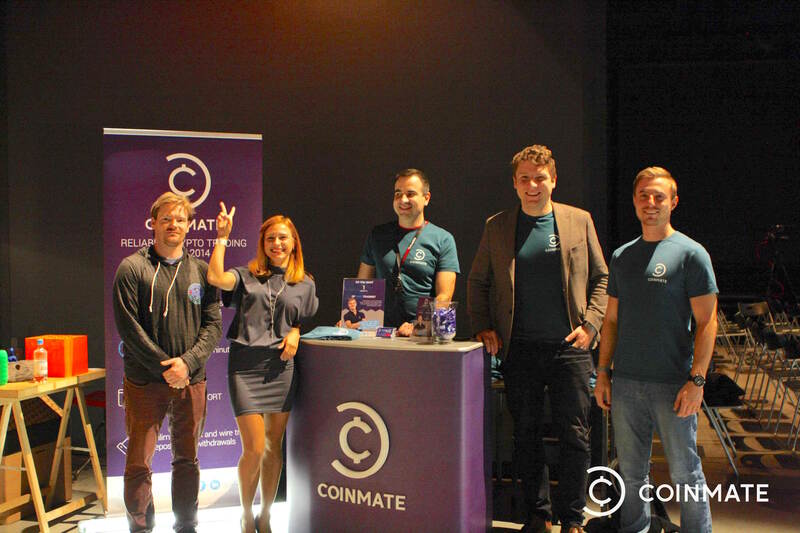 We’re proud to be a partner and thank everyone who visited our stand and agreed to wear our t-shirts. It was incredible to meet our Coinmates in person and listen to your feedback. We take on board your ideas – additional currencies are on the way. 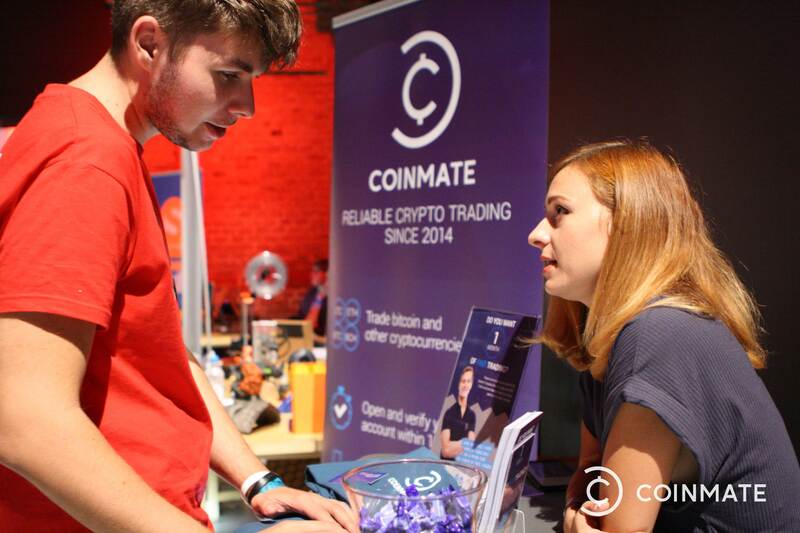 Thank you for your positive interaction with Coinmate, it genuinely warms our hearts! The congress is unique in our community. Art, political activism, liberation through technology, as well as business, all come together. But most of all, the atmosphere of intimacy and openness in an illustrious venue brings out ideas that benefit our whole community and, hopefully, the world. 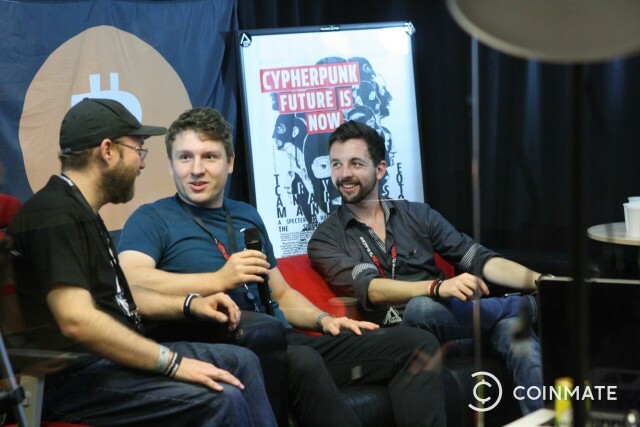 Lastly, thank you to those who organised and contributed, from vegan food and crypto payments, to music and thoughtful discussion in the youtube studio – we observed and appreciated the massive amounts of work the organisers and volunteers put in from morning till night. Each year, HCPP tickets are sold out months in advance – don’t miss it. We’ll see you next year. Find more photos on our Fb page. Please be informed that during Christmas Holidays (23rd December until 2nd January) our Customer Support will be very limited. Please do not contact our Support or write emails during these days unless it is absolutely necessary. Response to issues may take up to 7 days and General support enquiries will be ignored. Video verification will remain active in a limited mode but reviewal of bank account statements and questionnaires will be postponed until 2nd January. Single Deposits that do not fit your current 24-hour account limit will remain pending until 2nd January. Bank Deposits within your current account limits will be processed automatically and Bank Withdrawals within your current account limits will be processed on business days. Also, please be noted that it is possible to Deposit and Withdraw ONLY USING YOUR VERIFIED BANK ACCOUNTS. Faulty deposits (i.e. from accounts of other persons or cash deposits) will be returned after 2nd January and will be subject to a 10 EUR processing fee. Issue with Bitcoin processing has been fixed and Bitcoin Deposits and Withdrawals are now are being processed flawlessly. All trading will remain active and uninterrupted during the Holidays. We apologize for such short notice but the enormous growth in new registrations, associated administration, overloaded bitcoin network with rising unconfirmed bitcoin transactions and bitcoin network fees in the past 30 days has been overwhelming on our staff. Thank you for understanding.